This Saturday at Cecil County Race. 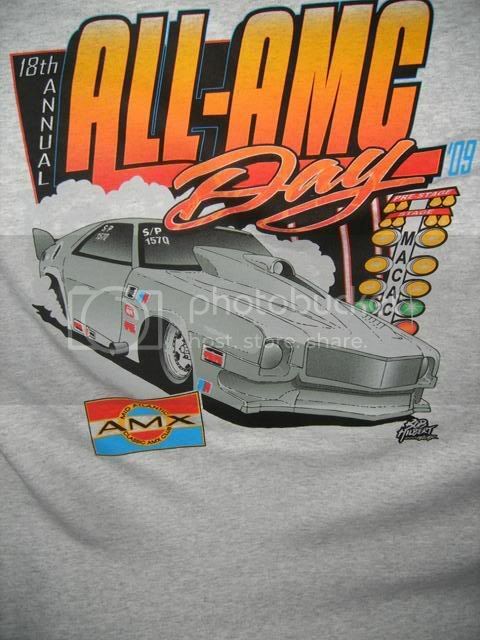 The largest all AMC event on the East coast. Come out and see some great cars. This event has the Car show all AMC race, and AMC Vendor's . It a great chance to find that missing item for your AMC classic. is this still on for tomorrow im showing 90% chance of rain, I got a 4hr trip ?? Is there a rain date?????? I had a 7 hour trip. That's why I canceled..
Maybe Don Bangs (SG128) will chime in, I sent him a PM. Scott Weaver of the hosting club, just post on Facebook the event has been postponed......rain date to follow. Looks like it's been postponed. No new dates yet..
oh great.... Sunny here right now in Cecil-tucky, now it looks like the rain will hold off until 2PM. It Figures.